Cut the grass early in the day or later at night – and you’ll have no worries about bothering the neighbors. Up to 60% quieter mowing experience*. No oil changes needed for life - Just Check & Add™** for the life of the mower engine. Smoother operation and more comfort. All power levels are stated gross torque at 2600 rpm per SAE J1940 as rated by Briggs & Stratton. *Reduction in Sound Pressure Level (SPL) when compared with the Briggs &Stratton 725EX Series engine when tested in accord with Protection of the Environment Operations (Noise Control) Regulation 2008. **Regular maintenance is still required. To see complete details refer to your Operating Manual. Briggs & Stratton standard warranty terms and conditions apply. 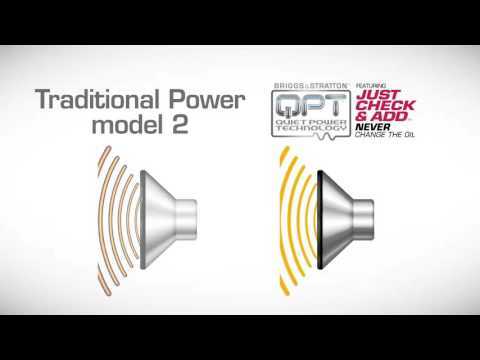 Quiet Power Technology® does not extend the warranty period. You want quieter power. We Deliver. 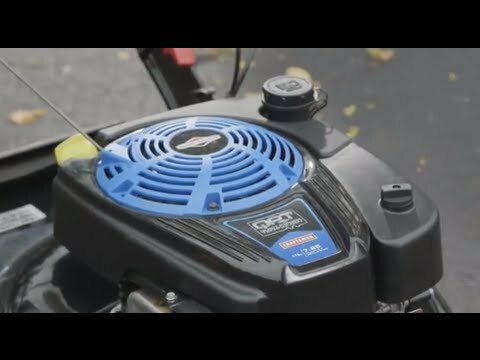 You want the freedom to mow early in the morning or later in the evening - and now you can confidently mow your lawn on your own schedule with lower sound levels and less vibration.